I went into the excellent Criterion set named “Dietrich & Von Sternberg in Hollywood” thinking that I knew a great deal about Marlene Dietrich’s legacy, but came out admiring both her star power and Josef von Sternberg’s directorial talent a great deal more. The best Criterion box sets like “Martin Scorsese’s World Cinema Project” and “Dekalog” serve as film classes that people can take at home. These are sets that you can spend days with, not just revisiting classic films but dissecting and learning about them in a way that makes not only these movies more interesting but can impact the way you view all cinema. This is one of the best Blu-ray box sets of the year. Following the success of 1930’s “The Blue Angel,” Josef von Sternberg and Marlene Dietrich entered into a partnership that would shape cinema in the decade to follow. The German classic led to a contract at Paramount that resulted in six films directed by Von Sternberg and starring Dietrich from 1930 to 1935. Two of them would produce Best Director and Best Actress Academy Award nominations for the pair, and one of those films would even be the highest-grossing film of its year of release. Watching them over eight decades later, it’s striking to see how completely that Von Sternberg knew how to use his superstar. The overall quality of the films may fluctuate but the way Von Sternberg uses his star is always fascinating. It’s a perfect marriage between filmmaker and icon with Von Sternberg’s framing and use of shadows enhancing what would become Dietrich’s internationally famous sense of mystery. 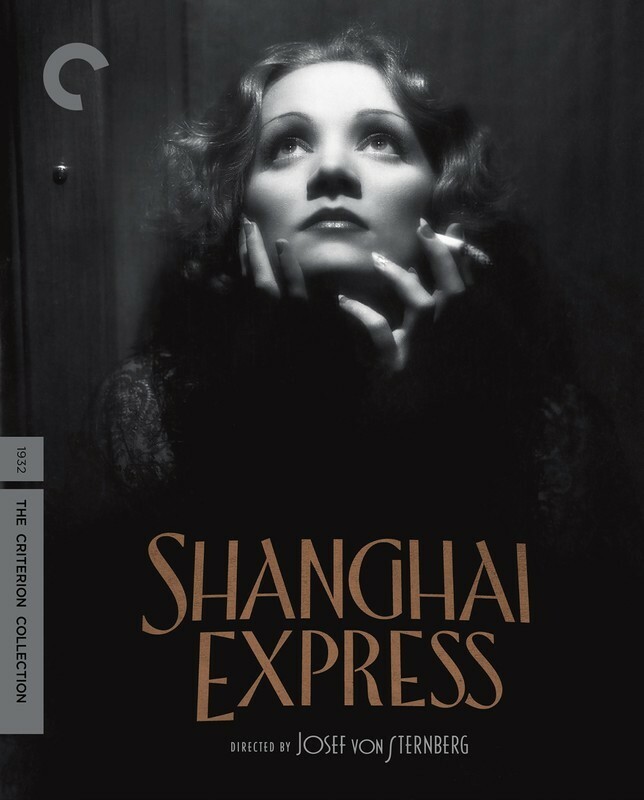 The best of the six films in the set for this viewer is also the commercial peak of their collaboration, the #1 film of 1932, “Shanghai Express.” Both of the artists who give this set its name are working at the height of their ability and fame here in what should be considered essential in the subgenre of the train movie. As Homay King says in one of the special features on the film, the plot of “Shanghai Express” is kind of secondary to the experience of enjoying it. Sure, there’s some intrigue and romance, but this is a film about images. Some of the most iconic shots of Dietrich come from this film, including that gorgeous cover on the right, and it’s no wonder the movie won the Oscar for Cinematography (for Lee Garmes, although it's reported that Von Sternberg himself did most of it). It’s not just its use of shadow and light in gorgeously restored HD but the way that Von Sternberg frames his scenes, often using frames within frames, from train car windows to mosquito nets. It’s a gorgeous film, one of the best you could possibly own on Blu-ray. Watching the other movies consecutively, it’s fascinating to consider how much cinema served a purpose as a travelogue in this era of moviemaking. Decades before one could bring up pictures of the other side of the world on their phones, this is how we were given visions of exotic, foreign locales in films like “Morocco” (with Gary Cooper), “The Scarlet Empress,” and “The Devil is a Woman.” Movies like “Shanghai Express” may have been shot in the United States, but they were a window for viewers of the ‘30s to form their impressions of other parts of the world. And Von Sternberg’s incredible eye shaped not only the way people imagined places they would never see but then how they would be reinterpreted in other films. As with all the great Criterion box sets, “Dietrich & Von Sternberg in Hollywood” is full of great special features, including interviews with film scholars, new documentaries, a new video essay, archival material, and a great booklet with essays from experts on classic cinema, including the amazing Farran Smith Nehme. Whether or not you’re a fan of Dietrich or classic cinema in general, this is a must-own. Get your copy here (and do it quickly because it’s currently 50% off). Sundance 2016: "The 4th," "The Fits," "How To Tell You're a Douchebag"